China is speeding up efforts to design and build a manned deep-sea platform to help it hunt for minerals in the South China Sea, one that may also serve a military purpose in the disputed waters. 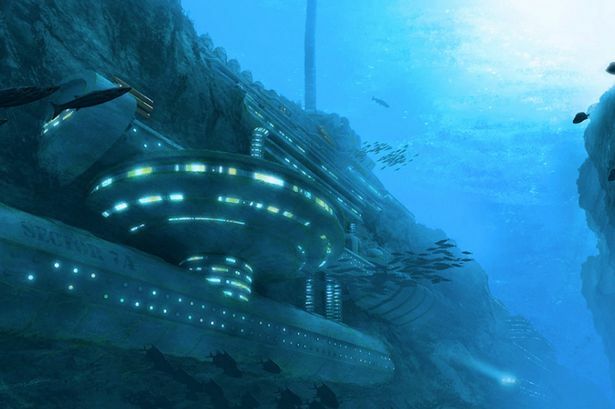 Such an oceanic “space station” would be located as much as 3,000 meters (9,800 feet) below the surface, according to a recent Science Ministry presentation viewed by Bloomberg. The project was mentioned in China’s current five-year economic plan released in March and ranked number two on a list of the top 100 science and technology priorities. Here is a translation of the March 2016 statement from the China Shipbuilding Industry Corporation. 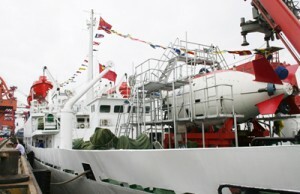 China Shipbuilding Industry Corporation is leading the deep sea platform project. March 25, 2016, the SASAC held a State Key Laboratory of Chinese Shipbuilding Industry Institute established the company seven hundred and two manned deep-sea equipment relying embodiment demonstration. Ministry of Science and basic research Sima Yan combined for Justice and feasibility studies to be requested, Key Laboratory enterprise hopes LEG implemented demonstration program in terms of objectives, research direction, organizational structure, operational mechanism. State Key Laboratory of manned deep-sea equipment has undertaken and completed the “dragon manned submersible research”, “deep space station key technologies”, “Self-propelled rescue bell” and more than 30 research projects, is the deep-sea manned State key laboratory of research equipment for the characteristics of enterprises, the laboratory will carry out research and development work in the overall design of manned equipment and integration technology, high voltage submersible deep structural design and safety assessment technology and deep space station key technologies. To achieve the “dream of a powerful ocean” provides important technical support, so that our deep-sea manned polyolefin material and equipment technology has reached world advanced level. The U.S. Energy Information Administration says the South China Sea has proved and probable reserves of about 11 billion barrels of oil and 190 trillion cubic feet of natural gas. China Cnooc chairman estimated the South China Sea holds around 125 billion barrels of oil and 500 trillion cubic feet of natural gas. Modern nuclear attack submarines like the American Seawolf class are estimated to have a test depth of 490 m (1,600 ft), which would imply a collapse depth of 730 m (2,400 ft). Test depth is the maximum depth at which a submarine is permitted to operate under normal peacetime circumstances, and is tested during sea trials. In June 2012, China’s manned submersible Jiaolong successfully completed its deepest test dive, to 7,020 meters in the Mariana Trench in the western Pacific Ocean. China now joins an exclusive club of countries that are capable of achieving human access to the deep sea. The other countries are the United States, Russia, France and Japan. The achievement will allow China to explore more than 99.8% of the ocean floor, Liu Cigui, director China’s State Oceanic Administration (SOA), told the media. Researchers at Shanghai Ocean University have also developed a submersible movable laboratory capable of operating at more than 13,000 feet underwater. Cost and complexity limit the Navy to fewer weapons systems and platforms, causing strain on resources that must operate over vast maritime areas. Unmanned systems and sensors are commonly envisioned to fill coverage gaps and take action at a distance. However, power and logistics to deliver these systems over vast ocean areas limit their utility. 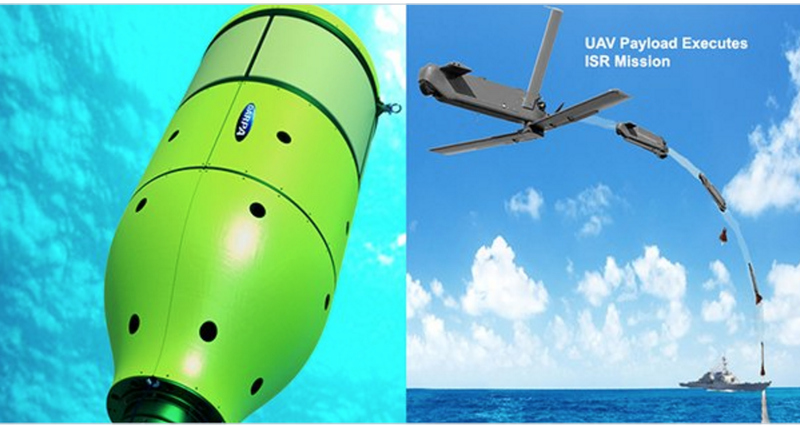 The UFP concept centers on developing deployable, unmanned, nonlethal distributed systems that lie on the deep-ocean floor in special containers for years at a time. 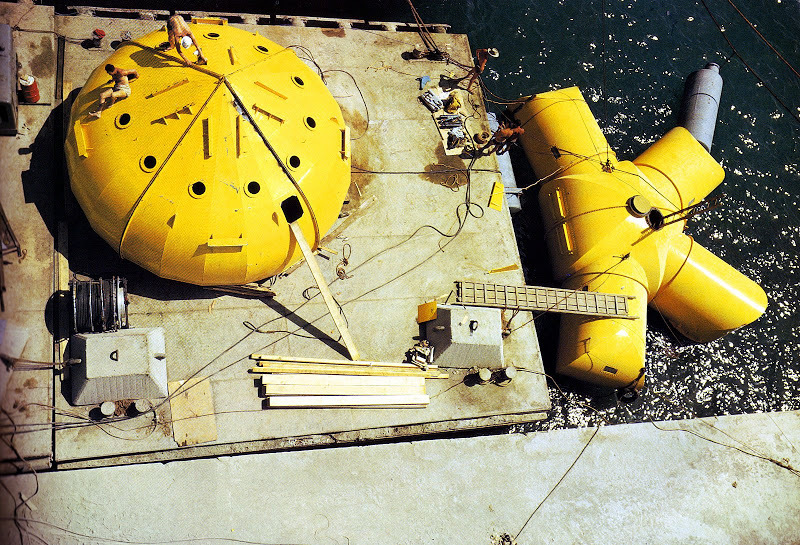 These deep-sea nodes could be remotely activated when needed and recalled to the surface. In other words, they “fall upward.” In today’s fiscally constrained environment, such a system of pre-positioned, deep-sea nodes could enable a full range of maritime mission sets that are more cost-effective than existing manned or long-range unmanned naval assets. Nearly 50% of the world’s oceans are deeper than 4 km, which provides vast areas for concealment and storage. As a consequence, the cost to retrieve UFP nodes is asymmetric with the likely cost to produce and distribute them to the seafloor. Concealment provided by the sea also provides the opportunity to quickly engage remote assets that may have been dormant and undetected for long periods of time, while its vastness allows simultaneous operation across great distances. Getting close to objects without warning, and instantiating distributed systems without delay, are key attributes of UFP capability. The UFP system is envisioned to consist of three key subsystems: The ‘payload’ which executes waterborne or airborne applications after being deployed to the surface; the UFP ‘riser’ which provides pressure tolerant encapsulation and launch of the payload; and the UFP communications, which triggers the UFP riser to launch. Jacques Cousteau had the Conshelf project. In 1962, the Conshelf I sat 10 meters (33 ft) under the surface of the Mediterranean off the coast of Marseilles. The small, cramped confine technically called the Diogenes was home to a pair of scientists for a week. It came equipped with a library, television, and radio, and was used as a research station to study marine life. Shortly after the success of the Conshelf I experiment, Conshelf II was launched. 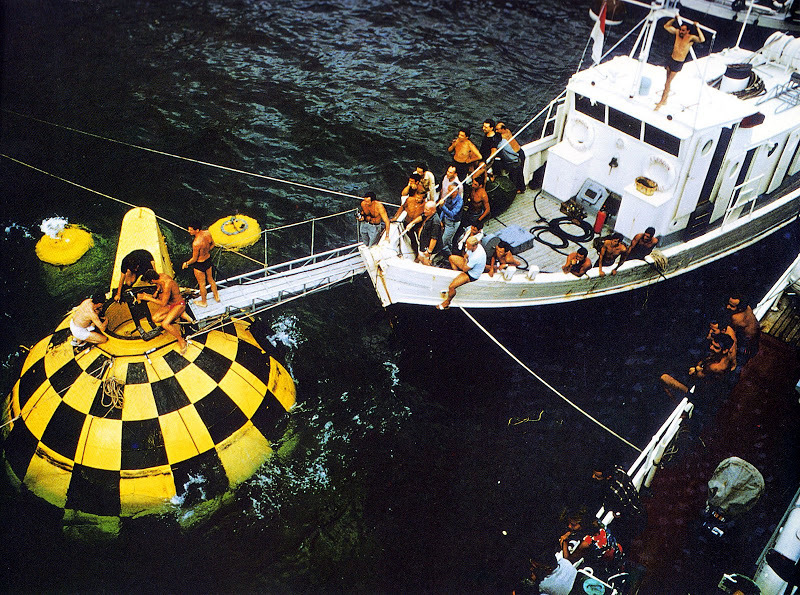 It came with even more fantastical amenities, such as a garage, an aquarium, and another research facility burrowed deeper into the sea, this time housing five people for a month. Finally, the most ambitious project was the Conshelf III, nested an incredible 100 meters (328 ft) beneath the water’s surface.